Chronic pain is a major cause of emotional and physical suffering. In addition, chronic pain causes work absenteeism, disability, and disrupts family and social life. 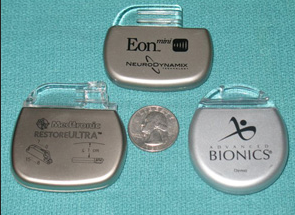 A treatment used for patients with chronic pain is a spinal cord stimulator (SCS) implant. This device is surgically placed in the body to disrupt pain signal transmission. Spinal cord stimulation is used to treat chronic neuropathic pain. The stimulator is placed under the skin of the buttock or lower abdomen. Wires run to surgically placed leads that are along the spinal cord. The battery-powered unit delivers mild, pleasant electrical sensations to the spinal cord, which interrupt pain signals. Low-level electrical impulses delivered to the spinal cord via SCS. What is the spinal cord stimulator? The SCS hardware consists of electrode leads, an extension cable, a pulse generator, and a programmer. The percutaneous leads are inserted via special needles. Programmable multiple electrode arrays are superior to the single-channel units. What conditions are treated using the spinal cord stimulator? Ischemic limb pain – In a study involving 150 people with lower limb ischemia from gangrene, 90% of patients had significant pain relief, which was > 75%. Failed back surgery syndrome – In a recent study, SCS was found to be more successful that another operation (re-operation). Of the SCS group in the randomized trial, 88% reported significant improvement in leg pain. Complex regional pain syndrome – In a 2004 study where SCS plus physical therapy was compared to physiotherapy alone for CRPS researchers determined SCS had a 63% efficacy rate. Patients reported “much improvement” in pain scores. How do I prepare for a spinal cord stimulator implant procedure? Before the procedure, you will meet with the pain management specialist to discuss your condition. The doctor will want to know about your symptoms, medical history, and current medications. Because bleeding is a concern, all drugs and supplements that thin the blood are to be held. In addition, the doctor will require a “SCS trial.” The stimulator is worn outside the body to see if it’s effective. The procedure just involves inserting electrodes to the spinal column. If the trial proves successful, then the permanent placement procedure is scheduled. 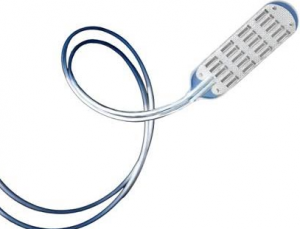 How is the spinal cord stimulator implant procedure done? Some Gilbert pain doctors perform the procedure under general anesthesia, so you have no memory or pain. After the lower abdomen is cleaned with an antiseptic, an incision is made, and the implant device is placed under the skin. The doctor inserts electrodes through a needle positioned in the epidural space. Wires connect from the electrodes to the battery-powered device. The patient will be able to control the electrical pulses by an external remote unit that turns the system on and off, as well as adjusts the stimulation power level. After the incision is closed, a band-aid is applied. What can I expect after the SCS procedure? After the SCS procedure, you are monitored in the recovery area for 1-2 hours as you awake from anesthesia. Expect to have soreness at the incision sites, and some pain. The doctor will give you medicine to take to help. You must rest for 2-3 days, and gradually return to usual activities. You cannot bend at the waist, raise your arms above your head, or lift for 1-2 weeks. You will be given a follow-up appointment so you can have sutures removed and a check-up. Jeon YH (2012). Spinal Cord Stimulation in Pain Management: A Review. Kor J Pain, 25(3), 143-150.